This laboratory is fully equipped to perform femtosecond laser micromachining inside transparent materials or on the surface of any material. Two femtosecond laser sources are available in this laboratory for the microfabrication activity. One is an Yb:KYW extended-cavity mode-locked oscillator, working in cavity-dumping regime. It produces pulses of about 300 fs duration, energy of 1.5μJ, at variable repetition rate, from 10kHz to 1.1MHz. 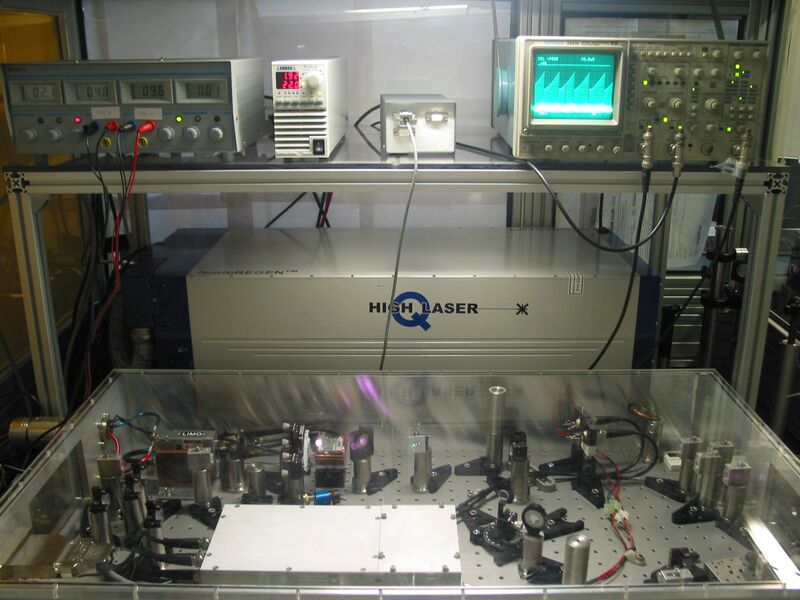 This laser system was developed with particular attention to the needs of femtosecond laser micromachining applications by the Max-Planck Institute of Heidelberg and HighQLaser GmbH. The other source is a commercial HighQLaser FemtoREGEN, which enclose in a compact footprint both an Yb-based mode-locked oscillator and a regenerative amplifier. The system delivers 400 fs pulses with energy up to 16 μJ, at a repetition rate variable from 1kHz to 1MHz. A reconfigurable setup of mirrors allows to steer either one of the two laser beams or their second harmonic, produced using an LBO crystal, to the machining area. Several microscope objectives with numerical apertures from 0.3 to 1.4 are available for focusing the laser beam on the sample.An air-bearing translation system (Aerotech FiberGLIDE 3D) enables three-axis motion of the sample with 50 nm accuracy and with speeds up to 300 mm/s. 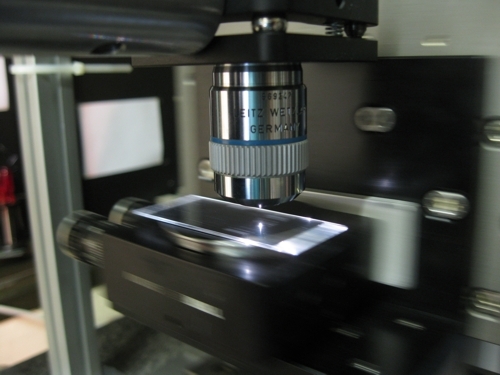 The stages are computer controlled and programmable to perform complex design microfabrication.